Mobilight’s unique Environmentally Friendly hybrid light tower for sale at this years show and expo is exciting in many ways. Especially where there is a need to provide dependable high quality lighting and power 24 hours a day. 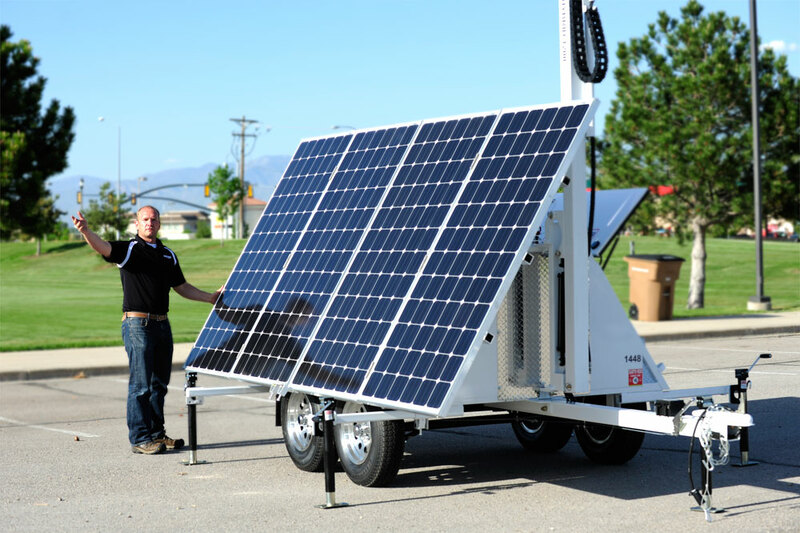 During sunlight hours the four, 300 watt solar panels charge an array of long life batteries. If set to automatic mode, when light levels drop, the high intensity LED flood lights automatically turn on using the battery power. Once the battery energy drops below a preset point, the Kubota diesel engine automatically starts up and simultaneously runs the lights and charges the batteries. When the batteries are fully charged, the engine shuts down and the lights continue to operate using the energy from the freshly charged batteries. ← Base Camp…Built for Rugged Outdoor Living!